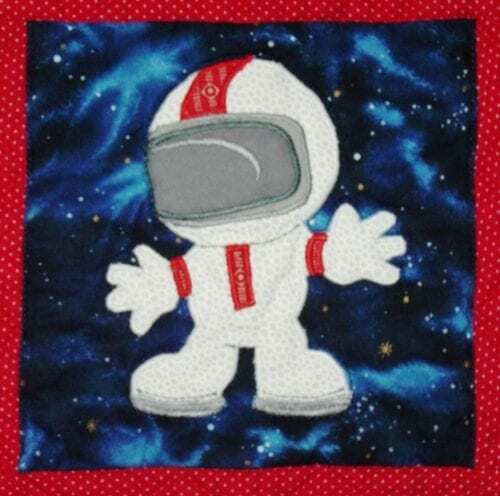 Outer Space Theme Quilt Design – Blast Off! 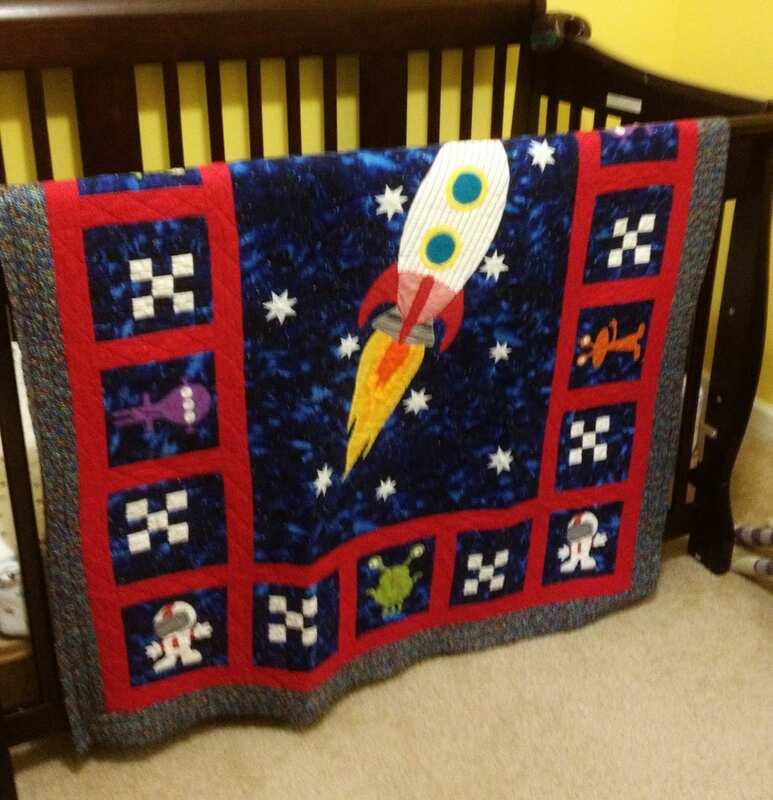 Six years ago, my niece chose an outer space theme for her son Ethan’s nursery. She asked me to design a quilt and coordinating wall art, and I was thrilled! 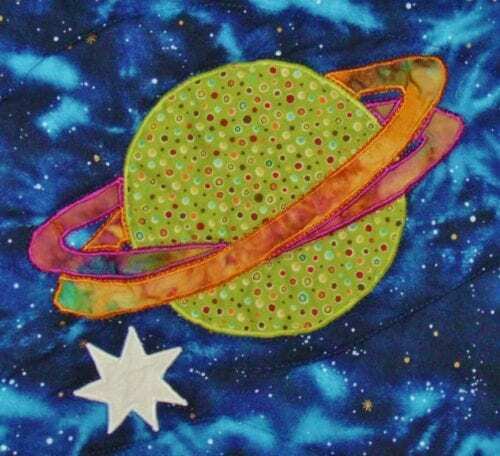 I jumped right in and designed Outer Space Adventure – a fun, bright quilt that combines applique and patchwork techniques. Two coordinating needlepoint canvases were next. Designed and painted by moi, they were stitched by Ethan’s grandma. I immediately wanted to share the finished project with the world, so I listed it for sale on my old website. Custom orders didn’t rush in, but I did get an unexpected request for a pattern! 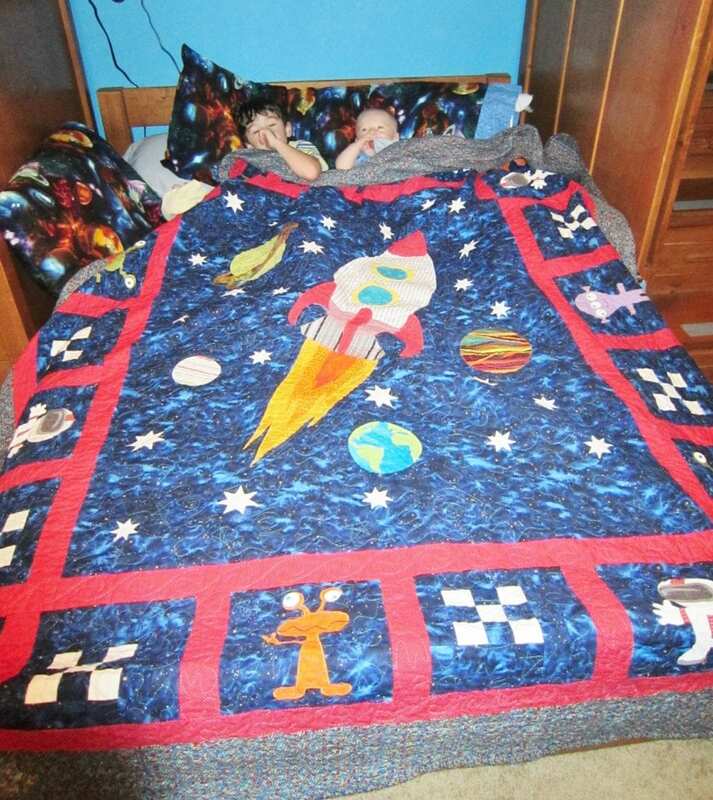 A lovely lady from Texas contacted me to say she loved the design of Outer Space Adventure. She asked for a full-size pattern and kit for her grandson. His room was being redone in an outer space theme. “Of course!”, I said. As a result of her request, I decided to start my pattern business. 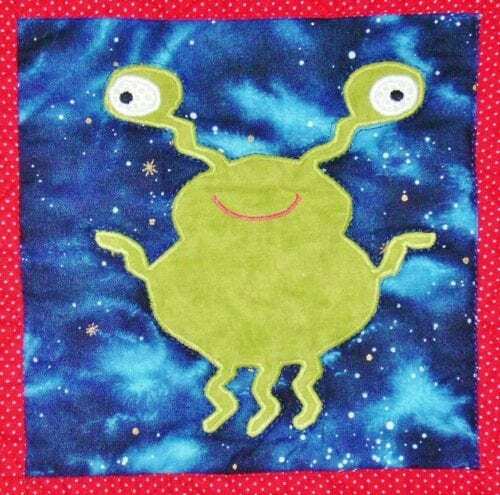 Each pattern includes an 11-page instruction book and full-size applique patterns. 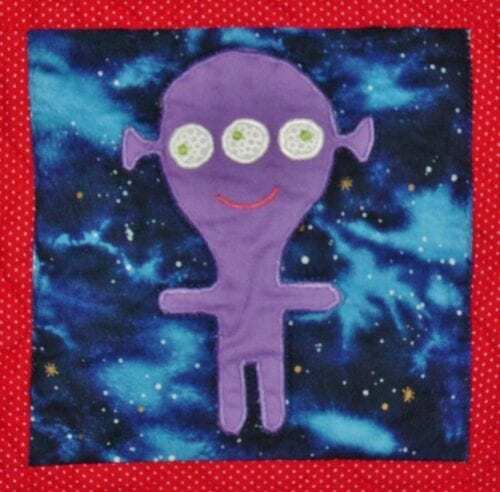 The instructions are great for beginning and experienced quilters alike. Detailed, step-by-step instructions, fabric requirements and easy to follow illustrations will guide you through the process and help ensure success! 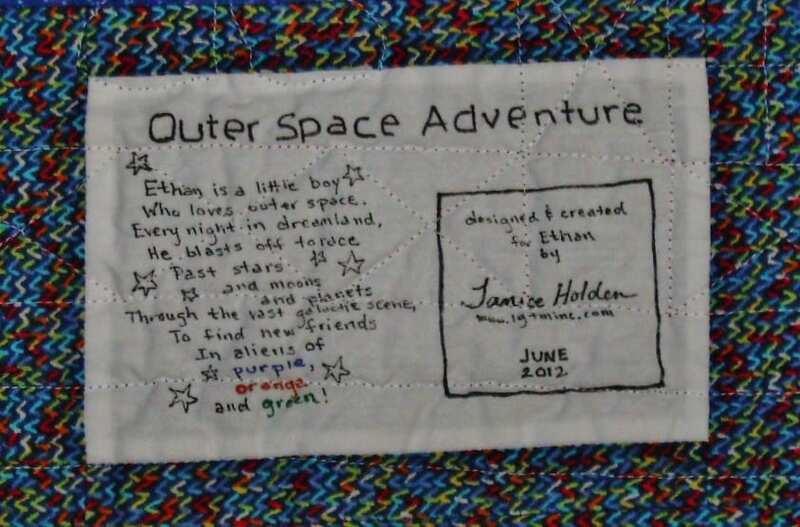 As a finishing touch, I wrote a fun little poem to include on the gift label for Ethan. Feel free to personalize it and use it for your little astronaut! This page contains affiliate links. I earn a small commission if you purchase something using these links (at no extra cost to you).